Match ends, Borussia Mönchengladbach 3, VfB Stuttgart 0. Second Half ends, Borussia Mönchengladbach 3, VfB Stuttgart 0. Attempt missed. Michael Lang (Borussia Mönchengladbach) right footed shot from the right side of the box is too high. Assisted by Lars Stindl with a cross. Attempt missed. Florian Neuhaus (Borussia Mönchengladbach) right footed shot from outside the box is close, but misses to the right. Assisted by Raffael. Benjamin Pavard went off injured after VfB Stuttgart had used all subs. Delay in match Benjamin Pavard (VfB Stuttgart) because of an injury. Own Goal by Benjamin Pavard, VfB Stuttgart. Borussia Mönchengladbach 3, VfB Stuttgart 0. Second yellow card to Erik Thommy (VfB Stuttgart) for a bad foul. Substitution, Borussia Mönchengladbach. Fabian Johnson replaces Ibrahima Traoré. Goal! Borussia Mönchengladbach 2, VfB Stuttgart 0. Florian Neuhaus (Borussia Mönchengladbach) right footed shot from the centre of the box to the bottom right corner. Assisted by Thorgan Hazard. Substitution, VfB Stuttgart. Leon Dajaku replaces Anastasios Donis. Goal! Borussia Mönchengladbach 1, VfB Stuttgart 0. Raffael (Borussia Mönchengladbach) header from the centre of the box to the bottom right corner. Assisted by Florian Neuhaus. Attempt missed. Raffael (Borussia Mönchengladbach) right footed shot from the centre of the box misses to the left. Attempt blocked. Florian Neuhaus (Borussia Mönchengladbach) left footed shot from outside the box is blocked. Assisted by Raffael. Attempt missed. Michael Lang (Borussia Mönchengladbach) header from the left side of the box is close, but misses to the right. Assisted by Ibrahima Traoré with a cross following a corner. Corner, Borussia Mönchengladbach. Conceded by Marc-Oliver Kempf. Attempt blocked. Lars Stindl (Borussia Mönchengladbach) right footed shot from outside the box is blocked. Assisted by Raffael. Attempt blocked. Raffael (Borussia Mönchengladbach) right footed shot from outside the box is blocked. Erik Thommy (VfB Stuttgart) is shown the yellow card for a bad foul. Oscar Wendt (Borussia Mönchengladbach) wins a free kick in the attacking half. Substitution, Borussia Mönchengladbach. Raffael replaces Alassane Pléa. Hand ball by Nicolás González (VfB Stuttgart). Timo Baumgartl (VfB Stuttgart) wins a free kick in the defensive half. Corner, VfB Stuttgart. Conceded by Nico Elvedi. Offside, Borussia Mönchengladbach. Thorgan Hazard tries a through ball, but Ibrahima Traoré is caught offside. Attempt missed. Christian Gentner (VfB Stuttgart) right footed shot from a difficult angle on the right misses to the left. Assisted by Gonzalo Castro with a cross following a corner. Attempt blocked. Thorgan Hazard (Borussia Mönchengladbach) right footed shot from outside the box is blocked. Assisted by Alassane Pléa. Offside, VfB Stuttgart. Marc-Oliver Kempf tries a through ball, but Anastasios Donis is caught offside. Substitution, VfB Stuttgart. Erik Thommy replaces Andreas Beck. Second Half begins Borussia Mönchengladbach 0, VfB Stuttgart 0. First Half ends, Borussia Mönchengladbach 0, VfB Stuttgart 0. Offside, VfB Stuttgart. Timo Baumgartl tries a through ball, but Anastasios Donis is caught offside. Foul by Benjamin Pavard (VfB Stuttgart). Attempt blocked. Andreas Beck (VfB Stuttgart) right footed shot from the centre of the box is blocked. Attempt missed. Alassane Pléa (Borussia Mönchengladbach) right footed shot from the right side of the box is high and wide to the right following a corner. Attempt blocked. Tony Jantschke (Borussia Mönchengladbach) header from the centre of the box is blocked. Assisted by Ibrahima Traoré with a cross. Corner, Borussia Mönchengladbach. Conceded by Ron-Robert Zieler. Attempt saved. Tobias Strobl (Borussia Mönchengladbach) right footed shot from the centre of the box is saved in the top centre of the goal. Assisted by Thorgan Hazard with a cross. Hand ball by Gonzalo Castro (VfB Stuttgart). Attempt missed. 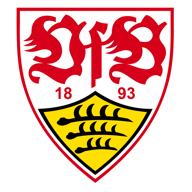 Benjamin Pavard (VfB Stuttgart) header from the centre of the box misses to the left. Assisted by Gonzalo Castro with a cross following a corner. Corner, VfB Stuttgart. Conceded by Ibrahima Traoré. Corner, Borussia Mönchengladbach. Conceded by Christian Gentner. Attempt missed. 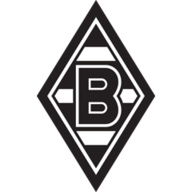 Ibrahima Traoré (Borussia Mönchengladbach) left footed shot from the left side of the box misses to the left following a corner. Attempt blocked. Tony Jantschke (Borussia Mönchengladbach) header from the centre of the box is blocked. Assisted by Thorgan Hazard with a cross. Corner, Borussia Mönchengladbach. Conceded by Nicolás González. Attempt blocked. Michael Lang (Borussia Mönchengladbach) right footed shot from the right side of the box is blocked. Attempt saved. Denis Zakaria (Borussia Mönchengladbach) right footed shot from a difficult angle on the right is saved in the centre of the goal. Assisted by Ibrahima Traoré. Foul by Christian Gentner (VfB Stuttgart). Attempt missed. Marc-Oliver Kempf (VfB Stuttgart) left footed shot from the left side of the six yard box is too high following a corner. Corner, VfB Stuttgart. Conceded by Yann Sommer. Attempt saved. Mario Gomez (VfB Stuttgart) right footed shot from the centre of the box is saved in the bottom left corner. Assisted by Gonzalo Castro with a through ball. Ibrahima Traoré (Borussia Mönchengladbach) wins a free kick on the right wing. Offside, VfB Stuttgart. Christian Gentner tries a through ball, but Mario Gomez is caught offside. Offside, Borussia Mönchengladbach. Michael Lang tries a through ball, but Alassane Pléa is caught offside. Attempt blocked. Michael Lang (Borussia Mönchengladbach) left footed shot from very close range is blocked. Attempt missed. Lars Stindl (Borussia Mönchengladbach) header from the centre of the box misses to the left. Assisted by Thorgan Hazard with a cross following a corner. Substitution, VfB Stuttgart. Gonzalo Castro replaces Dennis Aogo because of an injury. Dennis Aogo (VfB Stuttgart) is shown the yellow card. Corner, Borussia Mönchengladbach. Conceded by Benjamin Pavard. Attempt saved. Thorgan Hazard (Borussia Mönchengladbach) right footed shot from the right side of the box is saved in the bottom right corner. Assisted by Lars Stindl. Delay in match Tony Jantschke (Borussia Mönchengladbach) because of an injury. Attempt blocked. Denis Zakaria (Borussia Mönchengladbach) right footed shot from outside the box is blocked. Assisted by Thorgan Hazard. Offside, Borussia Mönchengladbach. Alassane Pléa tries a through ball, but Thorgan Hazard is caught offside. Attempt saved. Alassane Pléa (Borussia Mönchengladbach) right footed shot from outside the box is saved in the top left corner. Assisted by Thorgan Hazard. Ibrahima Traoré (Borussia Mönchengladbach) wins a free kick on the left wing. Attempt saved. Ibrahima Traoré (Borussia Mönchengladbach) left footed shot from the left side of the box is saved in the centre of the goal. Assisted by Thorgan Hazard. Offside, VfB Stuttgart. Ron-Robert Zieler tries a through ball, but Anastasios Donis is caught offside. Attempt missed. Nicolás González (VfB Stuttgart) left footed shot from the centre of the box is too high. Assisted by Mario Gomez with a headed pass. Foul by Ibrahima Traoré (Borussia Mönchengladbach). Attempt saved. Anastasios Donis (VfB Stuttgart) right footed shot from the centre of the box is saved in the centre of the goal. Assisted by Emiliano Insúa.